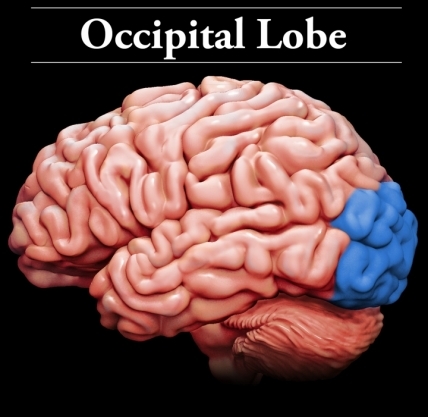 The left frontal lobe plays a large role in speech and language. It also plays a role in alertness and sensation. What Should You Do If You Think You Have Had a Concussion? Posted on BrainLine August 21, 2012. Reviewed July 25, 2018. For “Spirituality” ... 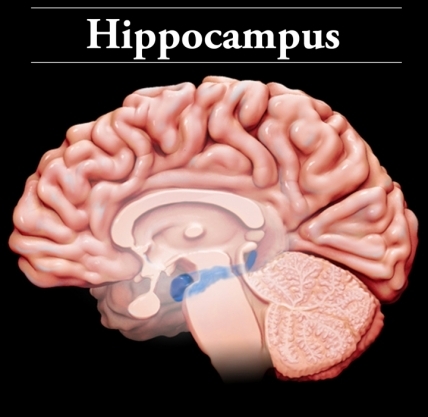 I would have to go with the hippocampus, as it “facilitates our ability to navigate and find our way around the world” and also “helps us orient ourselves in our surroundings”. If that isn’t the part of the brain that would have one connecting spiritually, then I am not sure which part would. However, “spirituality” is a whole different aspect from a loving relationship, from being filled with the Holy Spirit! That involves every aspect and every part of the brain and body! I had a peach size, 99.95% of my left front temporal lobe removed in a double brain surgery June 13th and June 20th 2017. This stopped 20yrs of refractory seizures that were occurring as the after affect results from the onset of Lupus Neurosis and Lupus Nephritis that I was diagnosed with just twenty years prior, 1997. I simply started putting my focus on God first in all things, and pouring my love out to all those around, my neighbors, even those who treat me with hurt! I have no idea what they are going through! My situation is nothing compared to what so many others ho through! I was in a bad car accident when i was 14. The doctors said i would not survive one night and that my version was soup without further explanation. I didn't know until 5 weeks ago that i could even have side effects. I was a straight A student before the accident and afterwards i was all D's. I was still smart i just didn't know i needed help. I am almost 40 now and I've been passing out, having pain in my head, am confused often, frustrated, have mood swings, trouble communicating, staying focused. My wife gets so mad at me for not being able to communicate my feelings, show "proper" facial expressions, etc. I am so glad she does not y get mad at me now for processing sound and speech. I just don't understand how to express to her that I'm really trying. This is new for both of us as these symptoms, whatever they are, are so new. I did not have any of these problems a few years ago. Oh, i shake now too. I can be doing something and in the middle of it I shake uncontrollably for what feels like an instant. My wife told me that the shakes last for a few minutes. Sometimes i have to open a door a few times before I can complete the task of getting out a dish or walking through it. I saw my doctor last week and she's referred me to a neurologist. I hope i hear good news. I learned the different names of the brain along with what each part does. It was all fascinating to learn. thank you for all of the insite. I don't think anyone has ever discussed the brain so well, or as good. thank you for all of your help. I was injured in a grizzly bear mauling on 7/19/09. At first I was focused on my soft tissue and bone injuries and healing. It wasn’t until I was referred to a speech therapist that it became apparent that I also had a tbi. Simple dayly tasks like reading counting money and driving. I found myself having to relearning my trade. I am almost 9 years out from injury and have been able to maintain my small business. I have found tools to help me with dayly life and my business. I had a tumour on my brain-stem that was removed Dec 13/99. Damage from the surgery and then post op brain swelling 12 days later left me with brain-stem damage plus Limbic, Pons, Cerebellum, Temporal Lobe, Hypothalamus, and Amygdala damage. This site has helped me to understand why so many things are such a struggle for me. Thank you. So sorry to hear of all your pain and suffering - I hope you are doing better now. I got a tbi as I was leaving work. One of my coworkers accidentally hit me with a truck. I believed that I was fine. But the people that love me told me that I have been acting different. I had to believe them because that are my family. I'm 61 and worked on the power lines as a lineman. After seeing the best doctors,I am finding my way to normalcy. I will never go back to the job that I love. But I am alive and well. I also had a major car accident at the age of 19 and damaged front left lobe ( amongst other things). Been struggling ever since with concentration, social impulse and memory, but now I am 63 and have enjoyed a full and successful life. No secret, but surround yourself with close friends who can help and guide you and don't be afraid to asking what , why and how? I am a 3 time aneurysm survivor one Rupture,one clamp,& 1 now with stage 4 lung cancer had many tell me it. Changed my memory and personality! But I'm alive so I'm happy for that !! The main thing this site has indicated in my view is that each braininjury regardless of how similar seems to affect each person differently. My son, now 48, had seizure 18 years ago. During the period of seizure he was also diagnosed to have suffered from Hypoxic Encephalitis resulting into loss of memory and recognizing ability. since then he is under medication as well as some brain stimulating exercises such as jigsaw puzzles etc. Somehow I don't find any improvement in his memory and cognitive impairment. Pl do advise. I am a ten year old and I am researching the brain for a project. All the comments make me feel so sad to hear all sad stories. I hope if you get a brain injury you can still live your life as a happy person. also I have a friend who has a brain injury and is still always laughing. 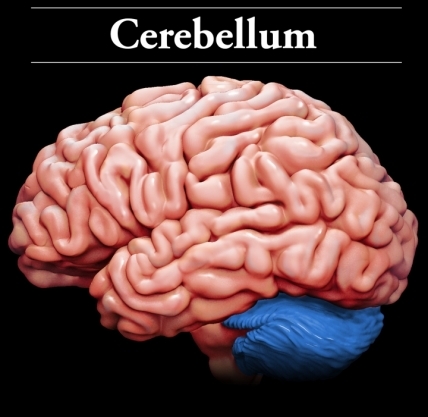 An infection ate away a section of my husband's lower left lobe of his cerebellum. He now has comprehension and memory problems. How can he be helped? Wow, I've never openly admitted I had a head injury. Reading all these comments makes me feel normal. Thank you to all of you. I had my car crash in 2003 - loads of broken bones, fractures, HEAD INJURY. Frontal lobe was affected. Family was told the usual script "that I'll never be the same" etc. They were right. I think it was for the best I had this event in my life. It forced me to "simmer down". I was a careless 21 year old and now it has changed my future. I still can't hold a job for too long as I get bored, lose interest, and my focus and attention span is very short. Anyway, I've gone off on one. Wow I've wrote a biography lol. When this gets reviewed it probably get deleted but at least one person would have read it. Thank you. 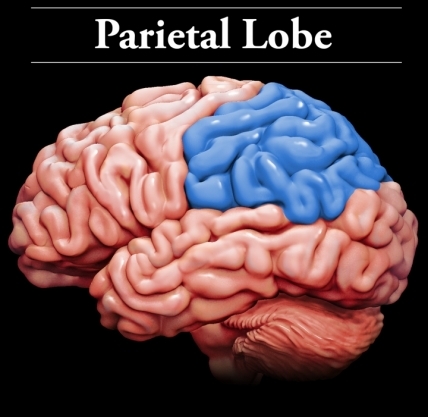 Does a temporal lobe stroke cause up to 10 headaches a day? The Temporal Lobes do not just involve function of memory and language,they are also the "seat" of the personality and creativity. My family member has Young Onset Dementia affected greatly the Temporal Lobes and her personality has greatly changed and she has also lost all her creativity. She used to be intelligent and have a big personality and self of humor but now she is just "shell" of who she was and just sits there vacantly rocking with no personality,interests or thoughts.Its like it's all been "wiped out". 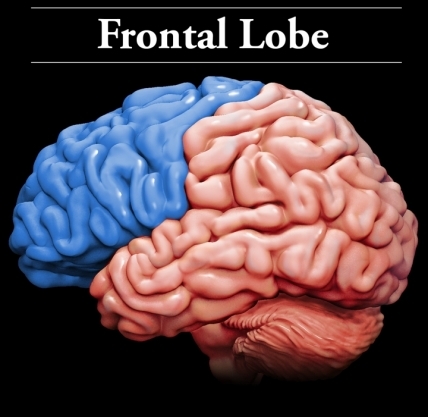 Frontal Lobe damage is generally thought of as being associated with personality changes but it is lesser known that the Temporal lobe damage can also provide personality change. Frontal Lobe should more be thought as Inhibition.Ie:if it is damaged the person can't inhibit their personality in social situations and makes social faux pas without concern or recognition. Temporal Lobe, particularly Superior Temporal region changes,can affect the personality dramatically and the victims can be left without personality,or with extreme irrational anger outbursts,or unable to correctly read and interpret situations and therefor over reacting with much anger etc inappropriate to the situation. The probable cause of pain on the right frontal lobe is simply a migraine headache. Take solace in the fact that the brain is incapable of producing pain. I am experiencing constant debilitating pain on the right side of my frontal lobe, do you have any idea what the cause of this could be? I definitely learned things that I did not know before! Each brain injury is unique. The most important thing the community surrounding the brain injured could add to the great progress occurring is to stop the community of "normals" from accusing the concussed of all forms of manipulation, laziness and under achievement. This is real the recovery time is ongoing. Be encouraging do not act as a detractor. To all who have brain injuries believe in yourself and love every day. I love this site. My 23 yr old son suffered a TBI 6 yrs ago. I read everything posted here. I learn something new everyday . I majored in nursing and psychology and thought I was prepared to deal with this. How wrong I was! His injury prompted his then 15 yr old sister to major in neuropsychology. She graduates this yr from Penn State. Her attitude changed from " I no longer have a brother" to learning to understand and accept her "new" brother...and wanting to help others like him. Everything happens for a reason! This is my favorite place I love to visit. Jack from Mongolia. This is so depressing...on top of major depression. Just reinforces my feelings of inadequacy. And I'm a neuroscience RN. Haha... Well, I used to be, although I've kept my RN license current, just to make me feel like I'm worthwhile, although, I'm not. And to top it off, in order to leave a comment, I have to try to decipher some weird code-garbled word, I've tried 3x, and I'm about to give up. I have a hard enough time just reading and comprehending normal typed words. Why do you make this so difficult? What a wonderful site and great service to the community. Thank you Brainline!!! this website is the best! use this website because it is the best!